I went downstairs by myself and peeked into the sitting room. There was no one there. I walked over to the upright piano and sat down on the bench. I put my hand on the keyboard and pressed one of the keys. It took a lot of effort to push it down. Maybe it was a sticky key. I tried another. It, too, seemed to go down only with the greatest of effort. As I tried one after another, it seemed more and more odd. I had never come across a piano with such a resistant action. It must be through lack of care of the instrument, I thought. I had played a lot of uprights in my years of piano playing, and they had always seemed to have comparatively loose, easy actions. How could I not have known instantly that the problem was my extreme weakness rather than a piano’s strange condition? 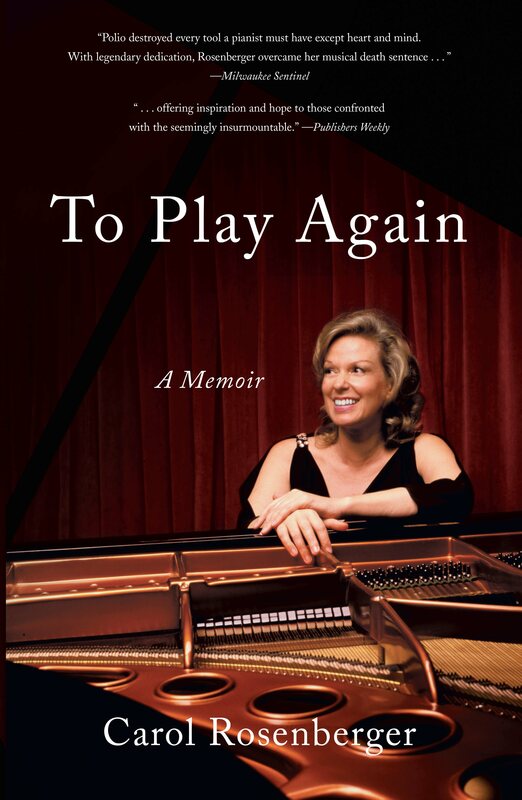 Though I had every indication that my hands and arms were scarcely capable of the smallest, easiest of normal movements, let alone the complex and demanding motions involved in piano playing, I couldn’t make the connection. I could admit that I wasn’t yet able to brush my hair, drink my tea with security, hold a book for any length of time, or a long list of other simple actions. But I couldn’t yet admit that my piano playing, too, was gone. My lifelong bonding with the instrument, a kind of organic fusion, was too ingrained to comprehend a rupture. The piano was at my very core; it meant life itself to me. To admit that my playing had gone the way of my hair-brushing or tea-drinking ability would have been equivalent to admitting to myself that I had died.